Man and beast have partnered for various reasons over tens of thousands of years—almost always for food or protection. The dirty history of animals in warfare is sometimes inspiring, sometimes disturbing, but without the aid of creatures in war, humanity would be in a different place than we are today. 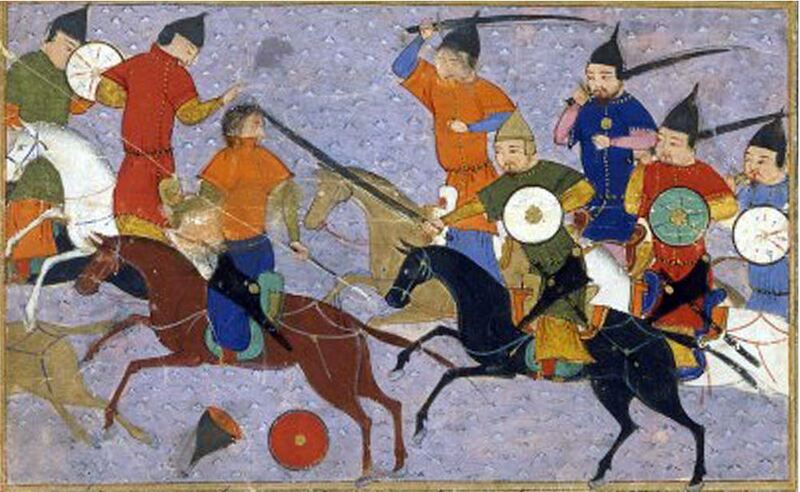 The image of a mounted warrior succinctly captures the history of animals in war, but many animals, such as dogs, camels, elephants, pigs, oxen, dolphins, pigeons and more, have all served in various capacities and have played roles (for good or ill) in war and combat related activities. Some animals were inhumanely weaponized, while others were beasts of burden and transportation. Still others filled the role of mascots to boost morale. It can be said that horses have played the greatest and widest role in the history of animals in warfare. Evidence points to horse domestication as early as 5000 BC in Kazakhstan. Initially they were used for food and milk, but it wasn’t long before they served as the mainstay of warfare; from the time man recognized the advantages of using the tall, strong, maneuverable beasts in battle, until they were replaced within the last 100 years with motor vehicles. In ancient China and Egypt, the horse was used to pull chariots and ‘proto-chariot’ platforms.